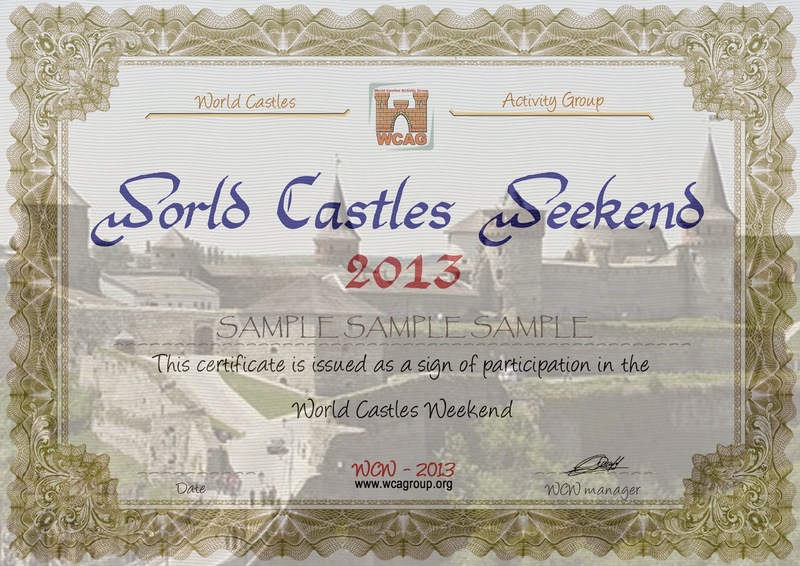 Het World Castle Award programma, waar verschillende nationale programma's bij aangesloten zijn (zoals COTA-PA), bestaat in juni 2019 10 jaar. 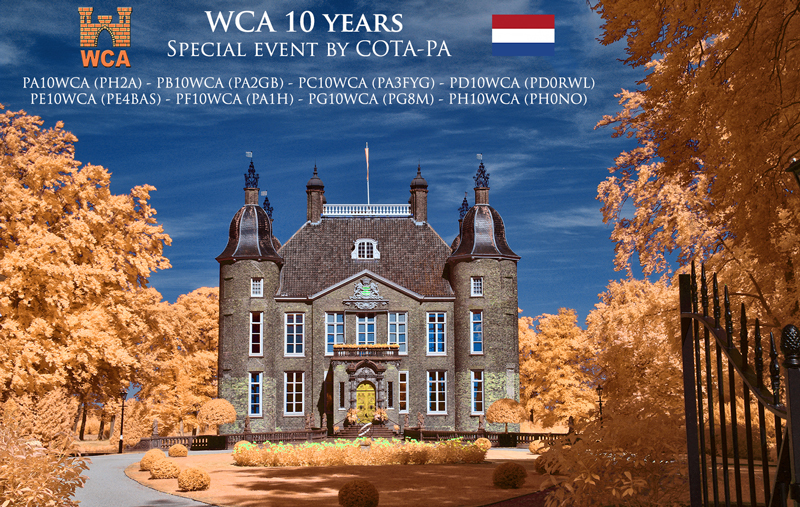 Om dit te vieren zullen er over de wereld verschillende activators op pad gaan met speciale calls in de vorm van **10WCA in de periode van 8 t/m 16 juni 2019. Zie ook de post op de WCA site voor meer info. Het zou leuk zijn als we ook in PA enkele speciale calls in de lucht zouden kunnen brengen in juni. Mocht je hier interesse in hebben, laat ons dat dan even weten. 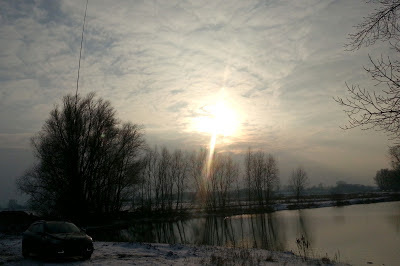 Yesterday I activated PA-00130 (Kinkelenburg). Kinkelenburg is situated in the village of Bemmel and features an early 15th century tower. Conditions on 20m were rather poor. 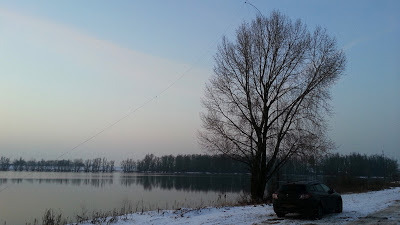 I did see spots on 15m indicating contacts between EU and NA but I did not bring my 15m antenna with me. I stayed on 20m for almost one and a half hours logging only 54 calls. DX came in from the east only with EX8, UK8 and 4Z. It took me some time to set up my inverted V for 40m as my fibreglass pole segments were frozen together on several places. When I did get on the air again I found that 40m was quite lively. The first frequency I chose seemed clear but I was greeted with constant S9 QRN after about 15 minutes. So I changed to another frequency where QRM was around S7 "only". Skip distance was rather peculiar as Gx stations boomed in but I could only copy - with a lot of difficulty - one DL station. DL OMs normally make up a fair share of the 40m contacts. I know there were more but I just could not hear them (sorry guys). In the hour I was on 40m I logged 50 more calls - most of them at 59+10 (actually only "+" on my FT-857). There was no real DX on this band but I did log a new band DXCC when GJ6TMM came by. I worked GJ before on 40m but I was on holiday in F at the time. Logging more than 100 contacts with some time in between to have a proper QSO made this another pleasant /P activity. I did have to face one last challenge re. the frozen fibreglass pole. With a lot of patience and some brute force I managed to loosen some of the frozen segments of my fibreglass pole so I could fit it in the car to drive to a warm home. See you on the next activity.